There are many ways in which we can find devices such as the iPad, become useful in our every day lives. As many people use the iPad for entertainment purposes, it has also proven itself to be a powerful tool in businesses, education and healthcare industries. Lets dig a little into the education industry, where tablets such as the iPad are becoming extremely popular. Statistics and surveys are exposing how technology in the classroom like iPads can benefit teachers and students in the classroom. It has shown to be a useful learning tool for improving collaboration, and engagement among students. However, this is assuming the student is fully capable of handling and navigating a device such as the iPad. How about students with disabilities? 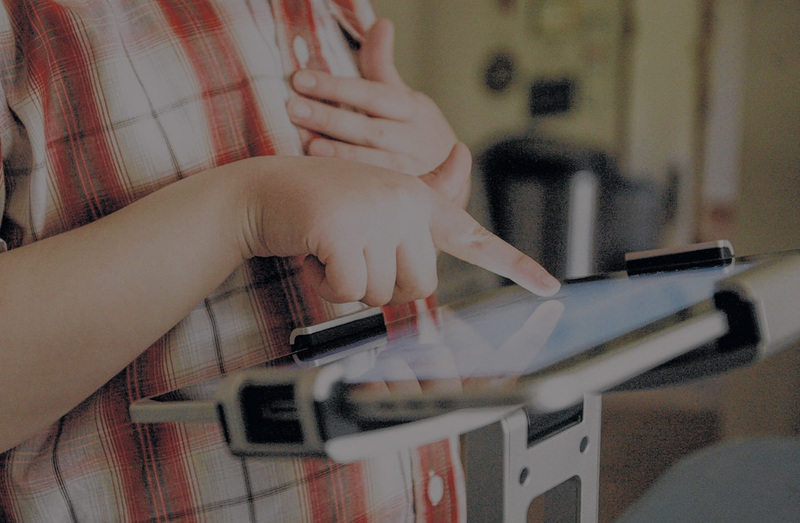 Where do the iPad’s potential benefits pan out when placed in the hands of a student with special needs? According to Shelli Mendel-Koeppl, president of the Dayton Chapter of the Autism Society of America, there is a lot of buzz going around about the iPad in the autism community. In fact, the Dayton Chapter of the Autism Society considers the iPad such a valuable therapeutic tool that it offers grants to families for purchasing one. For children lacking motor skills, touch screens are more intuitive devices. Traditionally, computers and older technology required visual shifting between a mouse or keyboard and the screen. With the iPad, students can watch as one of their fingers directly writes on the screen to make selections, which in turn helps improve fine motor skills. Using touch technology in devices such as the iPad seems almost natural to students with autism. Jeremy Brown is a teacher for autistic elementary students, and finds the iPad to be a great supplemental method of instruction. He says “its like a fish to water”, as he moderates his students interactions with the iPads touch technology. Brown is very active in online discussions of technology and special education with groups such as iTeach Special Education, and the blog, Teach All Students. He estimates that 80% to 90% of his students with autism see great results when using iOS devices, such as the iPad. For any student, including students with disabilities, it is important to understand each individual and how differently some may learn. With iPads, teachers can create personalized lesson plans assessing the needs of each individual. There are a vast amount of apps available for the iPad specifically tailored to special needs children. Given the options, teachers can choose which apps best fit their teaching methods relevant to the way their students learn. The way special needs students are learning from iPads is truly remarkable. It is changing the way they are being taught in schools, improving aspects of their lives we couldn’t have imagined. For schools deciding on whether or not to adopt the use of iPads for their classrooms, hopefully this has helped in some way. Considering the decision to move forward, make sure you prepare your school wireless network for the employment of these mobile devices. Click here for a good thorough article explaining how to prepare for iPads in the classroom. If your school is considering iPad implementation and have any questions or would like a free consultation, please contact us here. We have helped schools all over the country successfully implement new classroom technology like the iPad. You can also check out our free eBook below for more good information. Good luck!